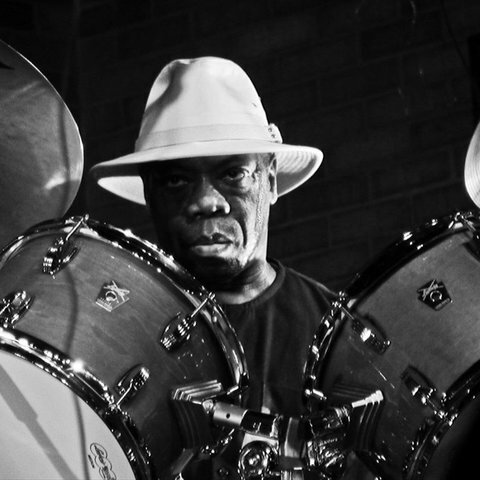 Andrew Cyrille is perhaps the preeminent free-jazz percussionist of the 1980s and '90s. 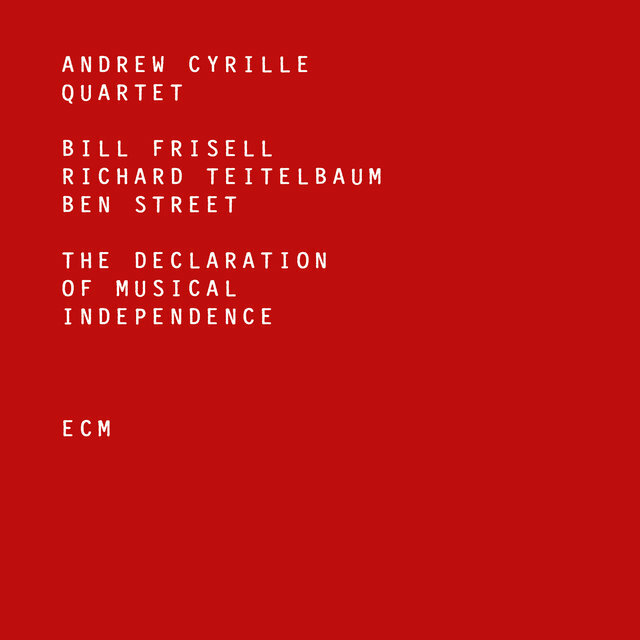 Few free-jazz drummers play with a tenth of Cyrille's grace and authority. His energy is unflagging, his power absolute, tempered only by an ever-present sense of propriety. Cyrille is at his best in an utterly free context, as on his encounters with the ambidextrous pianist Borah Bergman, where his serrated rhythms and variable textures are given maximum latitude. Cyrille began playing drums in a drum and bugle corps at the age of 11. At 15, he played in a trio with guitarist Eric Gale. For a period in his teens, Cyrille studied chemistry before enrolling in Juilliard School of Music in 1958. In the late '50s and early '60s, he worked with such mainstream jazzers as Mary Lou Williams, Roland Hanna, Roland Kirk, Coleman Hawkins, and Junior Mance. He recorded with Hawkins, as well as tenor saxophonist Bill Barron, for the Savoy label. Cyrille succeeded Sunny Murray as Cecil Taylor's drummer in 1964. He stayed with the pianist until 1975, during which time he played on many of Taylor's classic albums. During that period he played with a good many other top players, including Marion Brown, Grachan Moncur III and Jimmy Giuffre. He also served for a time as artist in residence at Antioch College and recorded a solo percussion album, 1969's What About?, on BYG. Cyrille, Rashied Ali, and Milford Graves collaborated on a series of mid-'70s concerts entitled "Dialogue of the Drums." Beginning in 1975 and lasting into the '80s, Cyrille led his own group, called Maono, which included the tenor saxophonist David S. Ware, trumpeter Ted Daniel, pianist Sonelius Smith, and at various times bassists Lisle Atkinson and Nick DiGeronimo. During this time Cyrille also played with the Group, a band that included the violinist Billy Bang, bassist Sirone, altoist Brown, and trumpeter Ahmed Abdullah. With Graves, Don Moye, and Kenny Clarke, Cyrille recorded the all-percussion album Pieces of Time for Soul Note in 1983. When not leading his own bands, he also worked ubiquitously as a sideman with, among others, John Carter, Muhal Richard Abrams, and Jimmy Lyons. Cyrille continued as a leading player into the late '90s, recording fairly prolifically for Black Saint/Soul Note, FMP, and DIW.